I’m a Picasa user from ages and I got to know about Picasa Web album when I started using BlogSpot. 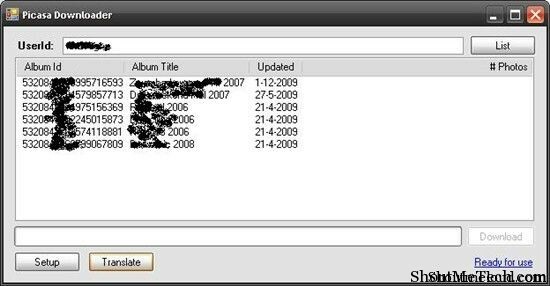 Later on, I started using it for storing my personal albums as there are many features Picasa offers, like keep the album private and so on. Anyhow, in this post I’m not going to talk about Picasa, as I hope you are using it. We will look into softwares which will let us download Picasa album. Have you ever wanted to download set of photos from your picasa album or your friends album ? Saving each photo one by one is pain and wished to have a tool for downloading all the photos in bulk at one go ? Don’t worry, today let us see the best 4 free tools to download picasa web album. Google’s kid Picasa is one of the most widely used services for photo sharing and there are many picasa downloader tools which costs you, but today we are going to see 4 free lightweight tools. 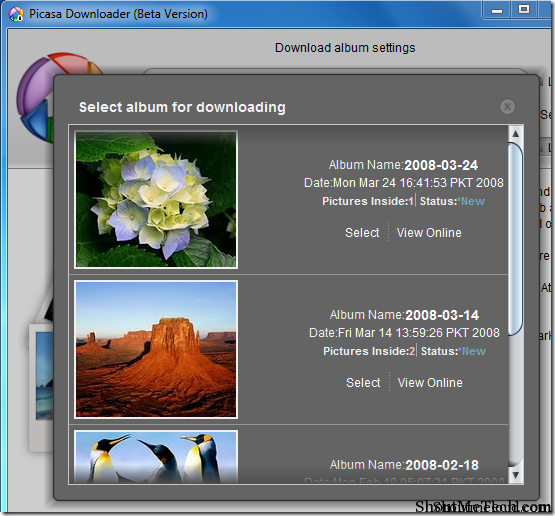 Picasa webalbum downloader is a java based app that allows you to download an entire album from picasa. All you need to do is, just grab the rss button for the picasa web album which you want to download. RSS feed button will be available in the right sidebar of the album. Copy the url and Paste the url address of the photo album RSS feed. Once it is done, hit enter and your download will start instantly. 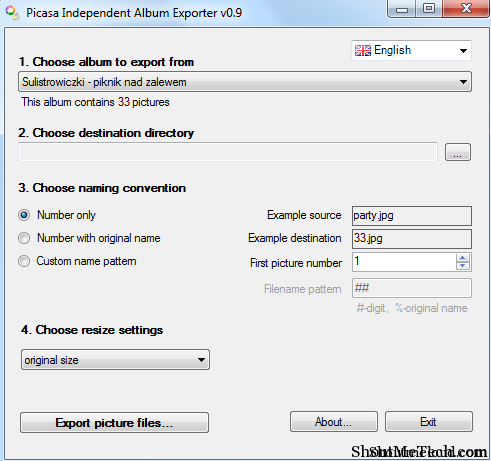 Picasa Independent Album Exporter lets you to export your albums from Picasa to disk with preserved images order. It can download both private and public photo albums in your account only. Select the album, choose the output directory and hit export pictures button. This application lets you download multiple Picasa webalbums of a selected picasa user with only a few clicks and without Picasa being installed. All you need is just picasa username. Put the username and hit the List button. Once the albums are listed, select the album and download it. It’s a portable freeware that can download picasa web albums in few clicks. It works on Windows 7, Windows vista , Windows XP, Windows 2000. it also works on Mac and Linux OS. Well, I also use Flickr premium account and will write about Flickr tools in coming days. For now, If you find this post useful, don’t forget to share it on Facebook and give it a like on Google+. If you have any other similar ways to download photos from picasa album, do share it with us. Harsh has written 109 articles. Next post: Your Freedom Proxy Software: How To Configure Your-Freedom Previous post: Ever Wonder What is Wi-fi & How it Works? Google Allo: Why You Should Switch from Whatsapp or Others to Google Allo?